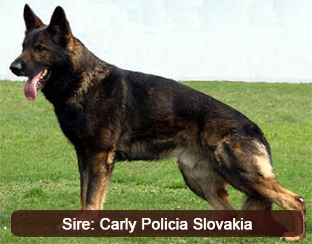 Harly Câini de Politie is the son of Carly Policia Slovakia and Rena Jipo Me and he attests to the saying that “he truly is his father’s son.” Harly is a strong working dog with pronounced aggression, balanced drives and a rock solid nerve base that makes him a dog namely suited for law enforcement work and personal/family protection as no intruder will trick or pass him. 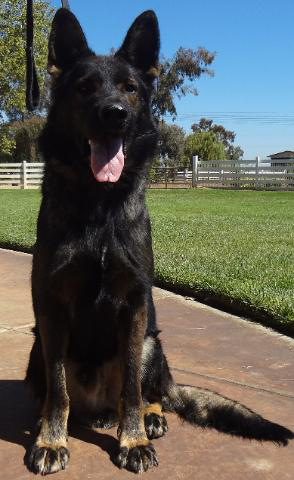 A desirable trait about Harly is his biddability and willingness to please to work for and please his handler. 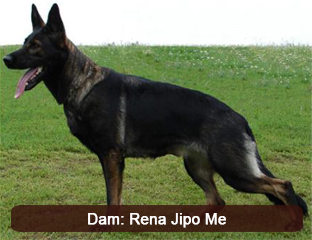 He is clear headed yet at the same time, no stranger can take him out of his kennel. Harly is an aloof dog that is neutral to strangers (due to us socializing him) and refuses to interact with them, he has a great civil side without being sharp and unpredictable. Harly exhibits no handler aggression, an undesirable trait often associated with his bloodline. 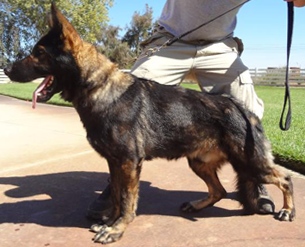 We look onto harly to instill intergrity, aggression, and aloofness in progeny and we’re looking forward to see what he will produce.